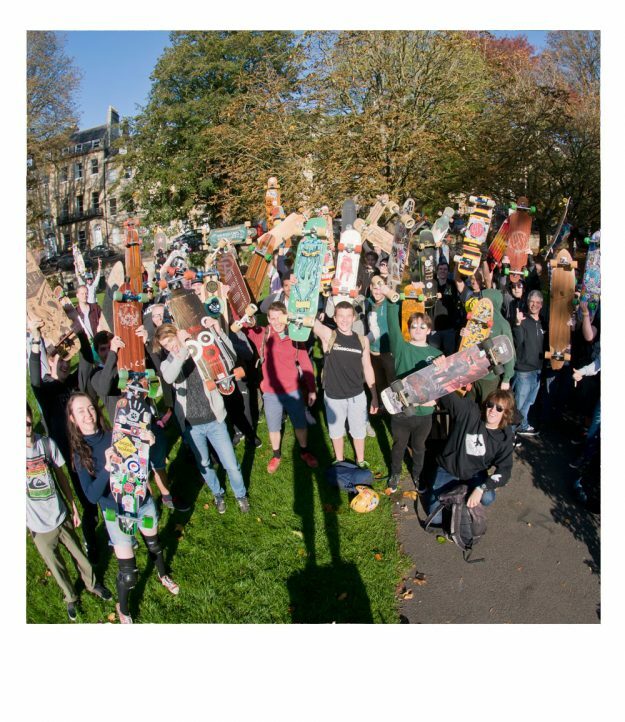 Come down to the Bristol Board Meeting – 19/10/2019! 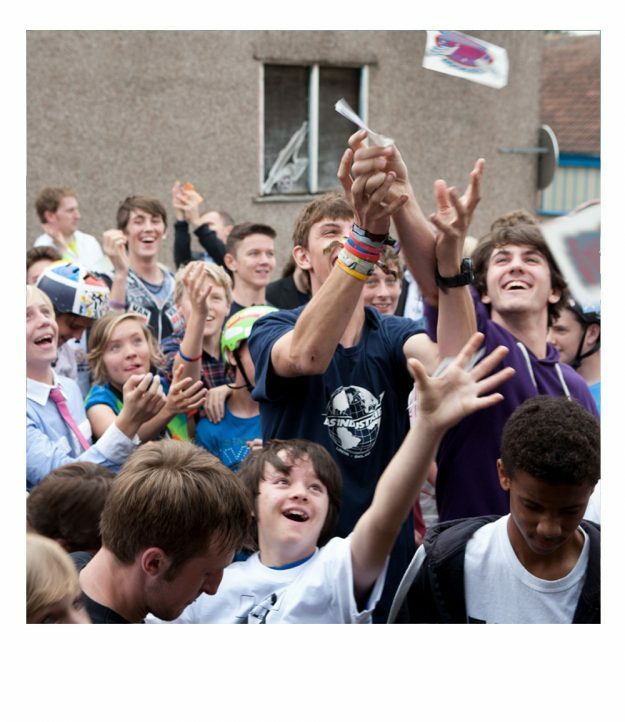 We’ll be raising money for Clic Sargent – Young Lives Against Cancer. Follow the Bristol Board Meeting on Facebook. What is the Board Meeting? 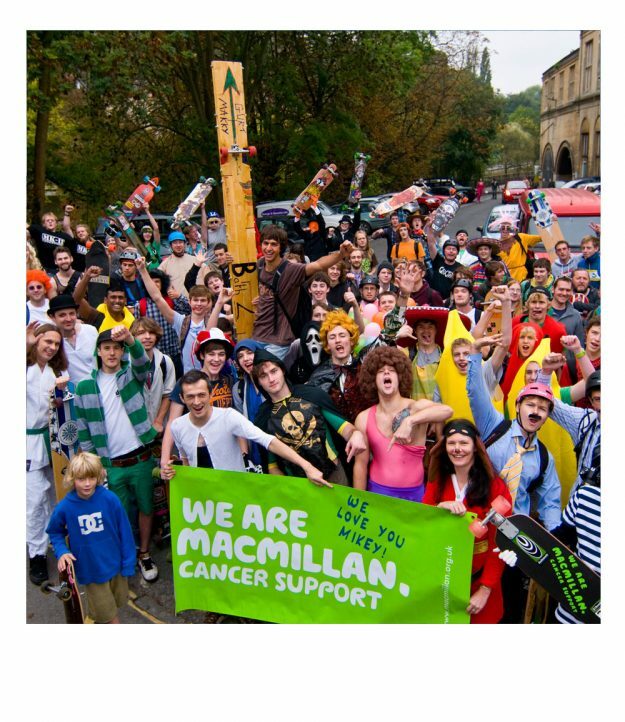 Every year (ish), we get as many longboarders together as we can and skate from Bath to Bristol, along the Bath-Bristol Cycle Path. We do this to raise money for charity. 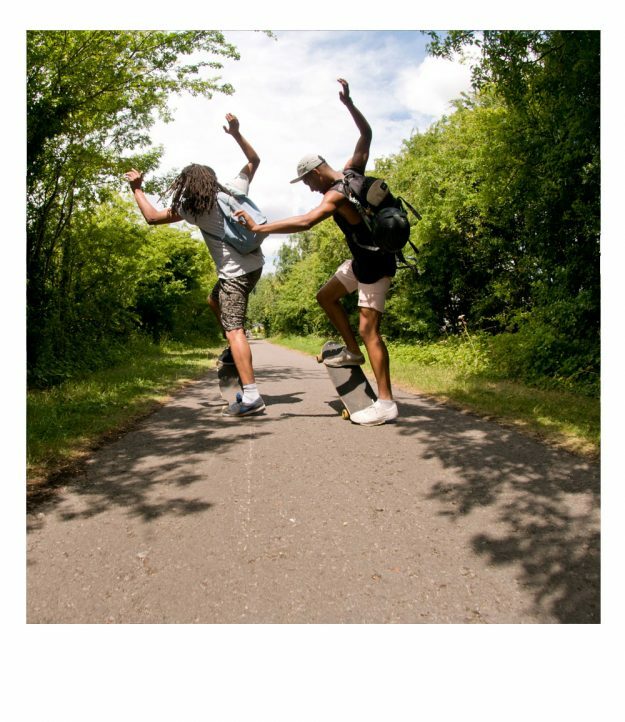 In the past we have worked with Sustrans, the British Heart Foundation, Macmillan Cancer Support and Clic Sargent. Over the years we’ve raised tens of thousands of pounds for good causes. A stop at the pub along the way! It’s just under 16 miles, and takes a few hours to push or pump – more if you stop for a beer along the way! 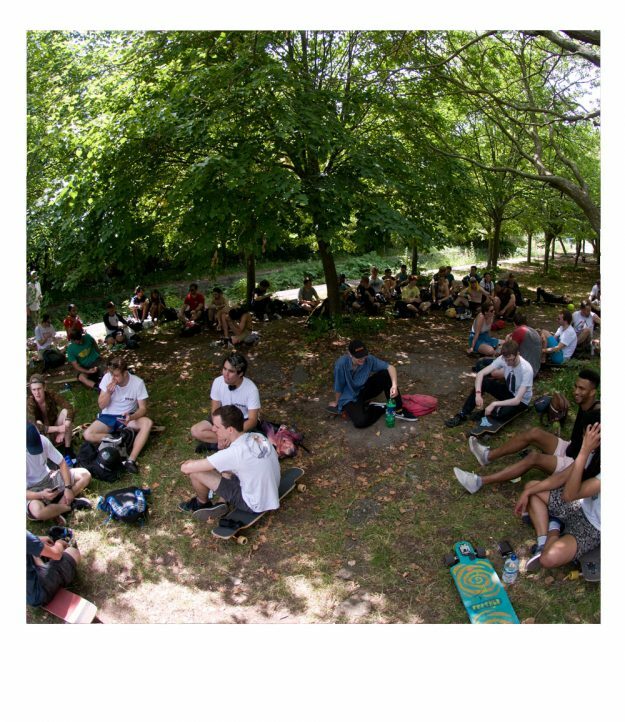 We usually do a raffle to help us raise even more cash, giving away prizes from longboard companies from all over the world. We usually have a stop or two along the way for something extra. 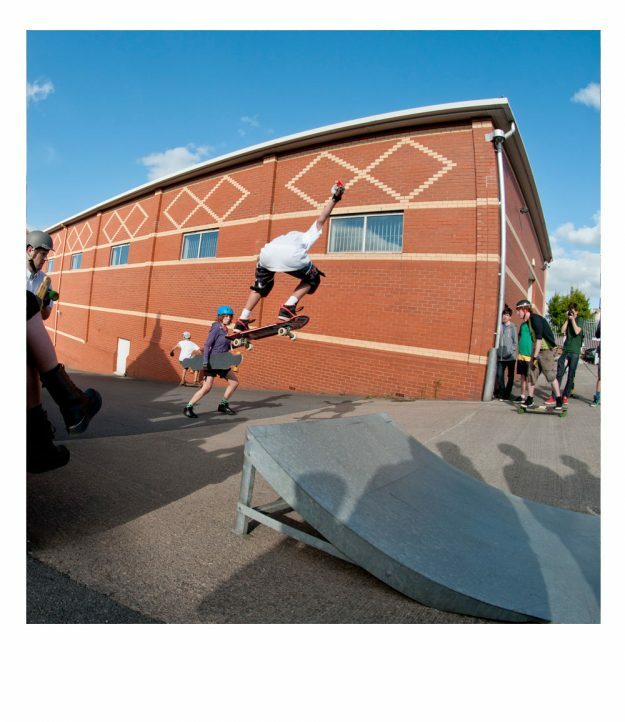 Slide jams, Jump ramps, Pump Tracks and Skateparks have all featured. 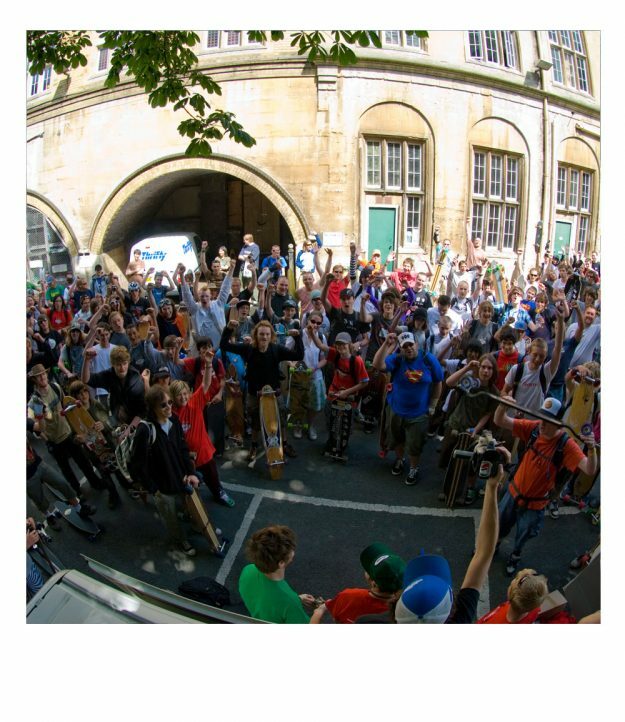 The Bristol Board Meeting is a great day out, and a great opportunity to meet other longboarders, all whilst raising money for good causes – make sure you get to the next one! Way back in 2006, we were approached by Dave Cornthwaite, who had just pushed all the way across Australia, and not content with that, the whole length of the UK too! 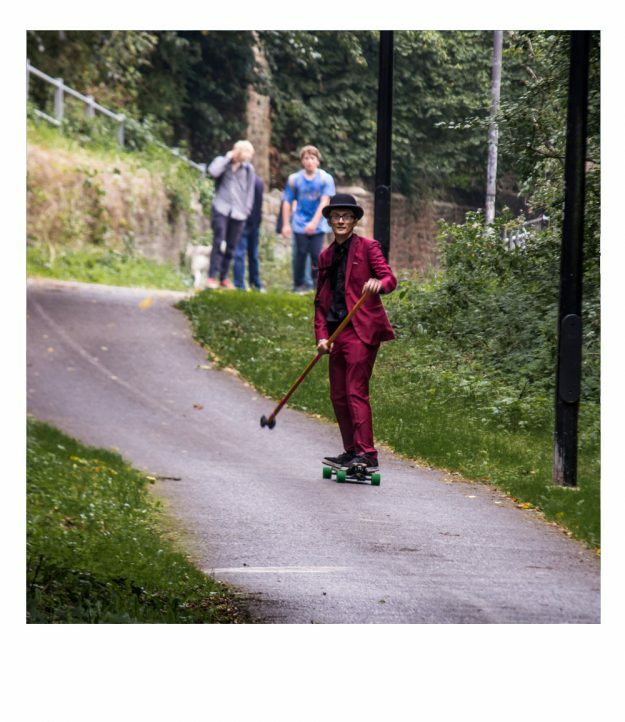 He wanted to get more people into long-distance skating. We had just moved from Sheffield down to our current hometown of Bristol, and realised that we had the ideal venue on our doorstep. 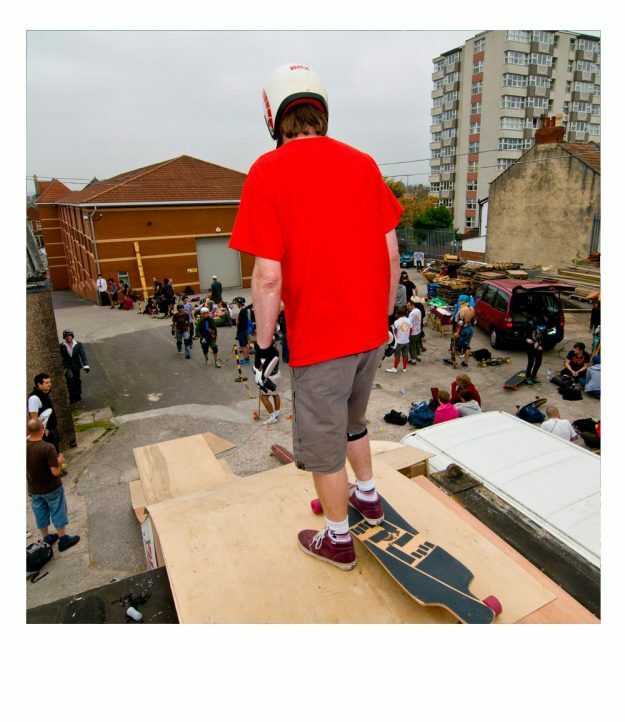 The first Bath-To-Bristol skate went down in 2007, with about 50 stoked skaters attending. 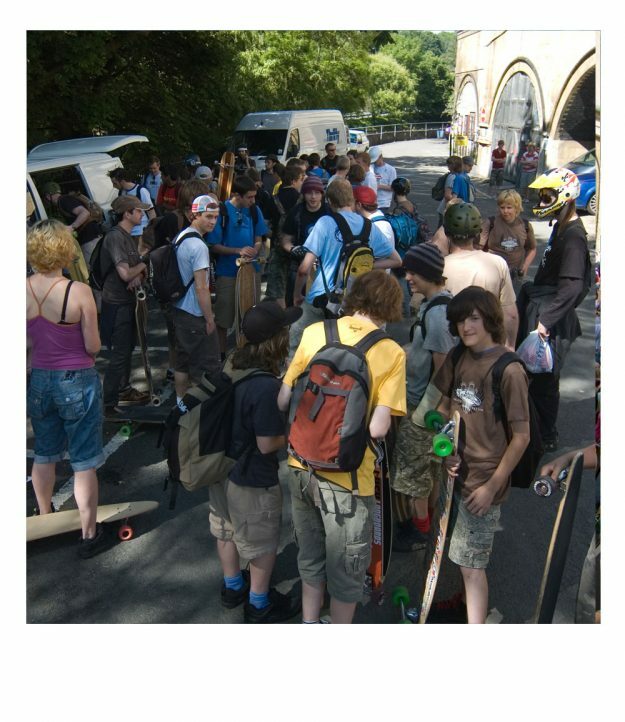 Word spread fast, and the 2008 skate saw nearly 250 skaters turn up! 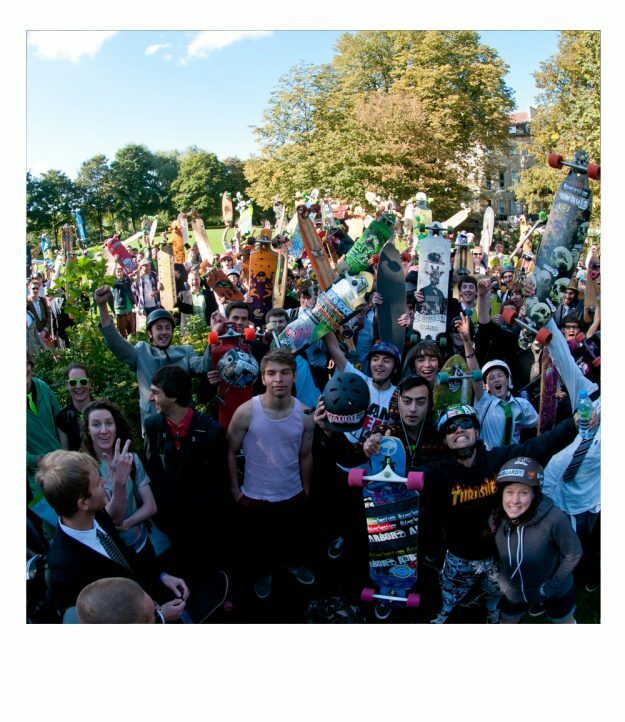 In 2010 we partnered up with our buddies over in Canada at the huge Toronto Board Meeting via our buddies at Toronto Longboard Shop “Longboard Haven”. There’s also been a Board Meeting in Tokyo, so we’re on three continents now! The 2010 Board Meeting was also “Fancy Dress Required,” which was fun. And we built a roll-in off the office roof to make the Shiner Slide Hill even faster. Board Meeting 2012 we teamed up with Macmillan Cancer Support and raised a whopping £6,000!! 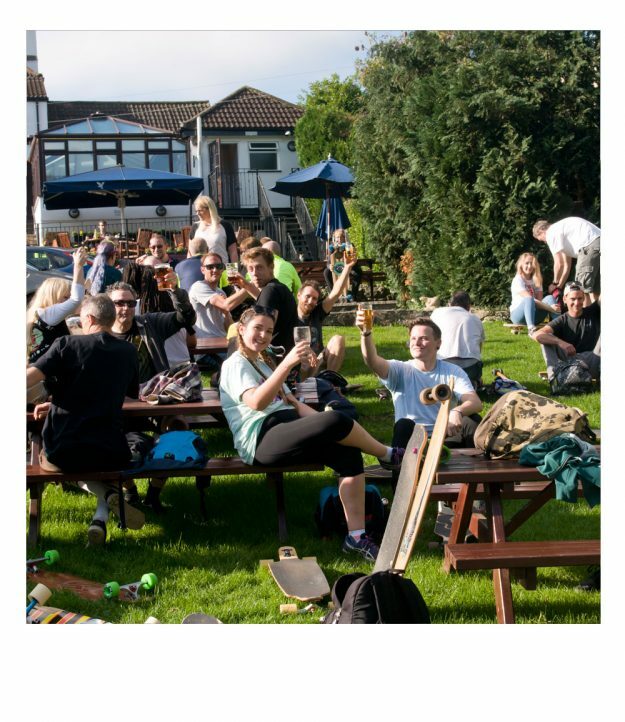 Board Meeting 2013 we had a stupid number of skaters turn up, probably making the Board Meeting the biggest UK longboard event ever! 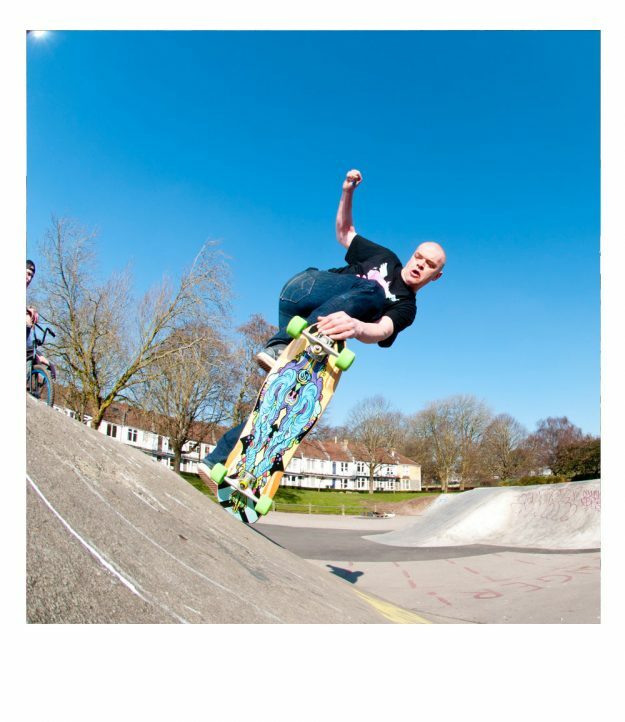 Board Meeting 2015 we held an epic slide jam on a hill right next to the cycle path and ended at St George’s Skatepark. It’s definitely not a race… wheelies at the halfway mark. Board Meeting 2017 we had probably the best weather yet and raised over £2,000 for Clic Sargent. 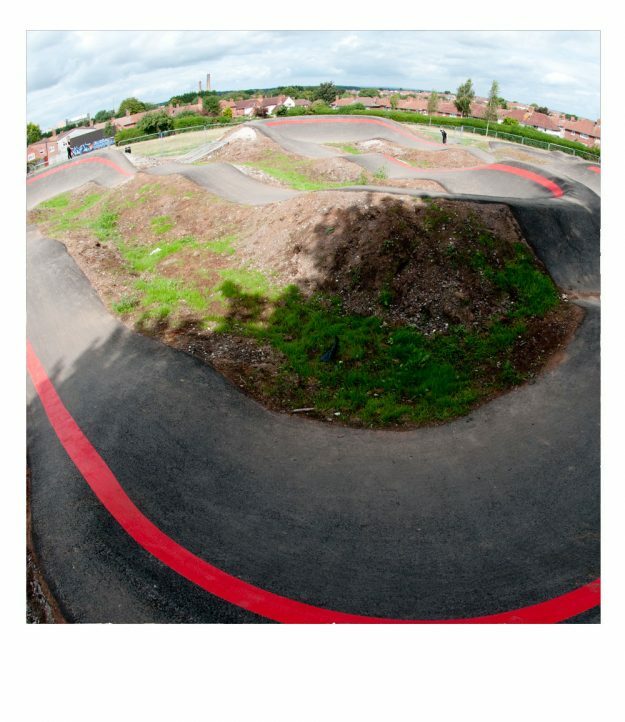 Board Meeting 2018 we held the raffle at the newly resurfaced Hillfields Pump Track, adding a whole new dimension of fun to the Board Meeting.